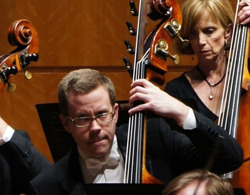 Get to know the amazing musicians of the Memphis Symphony! Click on their head shot to read their biographies, fun facts and view the additional pictures. Filter the instrumental section on the left-hand side. Just keep in mind that if you click one instrument group (like Violin 1), you must unclick it before you can click and properly view another (like Oboe)! If you could travel anywhere, where would you go: I would run a bed & breakfast in the Scottish Highlands. Age you started your instrument: I started, at age 2, with a cardboard violin. It tasted awful. Favorite onstage activity for those ultra-rare occasions when I am not being a completely serious and professional musician: Making and watching my stand partner crack up. Wen Yih Yu joined the Memphis symphony in 1994. Yu, a native of Taiwan, begin his musical study at age of 8. Before he came to United States, Wen Yih served as the assistant concertmaster of Taipei city symphony orchestra from 1986 to 1989 and appeared as featured soloist in many concerts with that orchestra. In addition to that, Wen Yih has won concerto competition and perform as soloist with the orchestra of National Taiwan Academy of Arts in concert tour around Taiwan. He received a scholarship from Mannes College of Music and came to United States in 1990 to Study with violinist Nina Beilina. Received a Master degree and a Diploma of Professional Study in May 1994. Wen Yih has performed with Bachanalia Chamber orchestra, New Jersey Philharmonic, 96th street Y chamber orchestra and Korean Chamber orchestra in New York. He was also invited and performed with Colorado Music Festival in Boulder and Cape May music Festival in New Jersey. 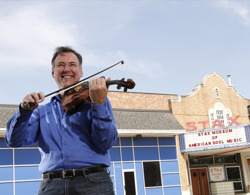 He currently serves as a violin instructor at Rhodes College since 2002. When off season in Memphis, he also performs with Fort Worth Symphony in Texas as well as Music in the Mountain Festival in Durango, Colorado. in 2007 he was invited to go to Taiwan to perform with ProArts chamber Orchestra in Taipei. 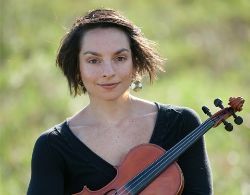 Ms. Munson, originally from Howard Lake, MN, started playing violin at the age of 4. She played in the Greater Twin Cities Youth Symphonies for 10 years, studying with El Gervasio and Sally O’Reilly throughout highschool. Ms. Munson holds a bachelors degree in violin performance from Texas Tech University in Lubbock, TX, where she studied with John Gilbert. 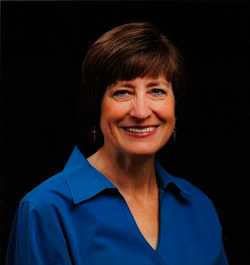 During college, she played with the Lubbock Symphony, Amarillo Symphony, Big Spring Symphony and Abilene Philharmonic, as well as an early music group, Irish band and a Mariachi band. In her summers, Ms. Munson attended Bravo Summer String Institute, Meadowmount and Roundtop. Since moving to Memphis, she has discovered bluegrass music and now plays in the band Sorghum Hill. Interesting Fact about yourself: Once was hired to play violin in the back of a limousine. Long Long Kang began his musical education at an early age in his native country of Taiwan, beginning piano studies at the age of four, and violin studies at the age of five. He holds a Bachelor’s degree from National Taiwan Normal University, where he majored in violin performance and music education, with a minor in piano performance. 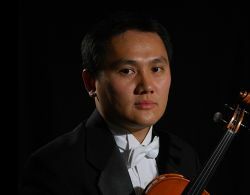 Mr. Kang also earned a Master’s degree from the Mannes College of Music in New York City, and is currently a doctoral candidate at the University of Memphis, majoring in violin performance, with a minor in viola performance. Mr. Kang is currently a member of the first violin section of the Memphis Symphony Orchestra. In the past, he has also been a member of the Arkansas Symphony Orchestra and Rockefeller Quartet in Little Rock, AR, during the 2005-06 season. In addition, he has performed with numerous orchestras and chamber ensembles in Europe, Asia, and the United States, including performances at Carnegie Hall and Alice Tully Hall in New York City. He also performs regularly with his wife, pianist Jennifer Lee Kang. 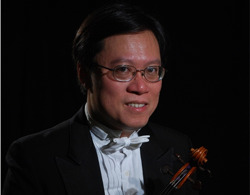 Mr. Kang has won many awards and scholarships, including prizes at the Taipei City Violin Competition (Gold Medal) and Taiwan National Violin Competition, a Yamaha Academic Scholarship, a graduate assistantship at the University of Memphis, and was the winner of the concerto competition at the University of Memphis in 2007. In addition to performing, Mr. Kang has been actively teaching since 1996. He was a teaching assistant at the Mannes College of Music and a violin instructor at the University of Arkansas at Little Rock Community School and the Arkansas School for the Blind. 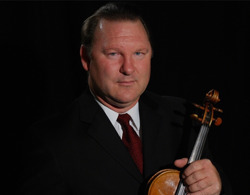 He is a registered Suzuki instructor, and has taught at the University of Memphis as a violin instructor as well. In the summer of 2008, he taught violin and chamber music at the Interlochen Summer Arts Camp in Michigan, and he also taught at the Shelby County Schools Fine Arts Camp in 2009 and 2010, and the Faulkner Chamber Music Festival in Conway, AR in 2010. 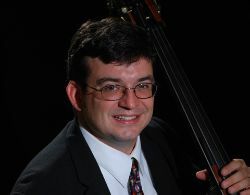 Currently, he is an orchestra director in Shelby County Schools and a violin professor at the Harding University. MSO Community Involvement: Development team for LFEC and Opus One, program planning for Family Tunes & Tales, active in arts advocacy. If you could travel anywhere, where would you go: Greenland. I seem to gravitate toward obscure destinations. Favorite hobby: I love to cook for friends, and I'm adventurous about exploring new (to me) foods and wines. What inspired you to make music your career: I knew I wanted to be a musician at 12, but it took me a long time to get from there to here. I went to engineering school and also studied architecture and visual art before I committed to music as a career. For me, it's a calling, not just a job, and my circuitous path makes me love my work even more. Favorite book, movie, or TV show: I like books better than movies, and movies better than TV. It's tough to choose a single favorite. Most embarrassing moment on stage: I once knocked a very large flower arrangement into the orchestra pit while turning around for a curtain call after a concerto. Favorite piece of music: I have kaleidoscopic tastes in music, but Beethoven 7, Mahler 2, Strauss "Four Last Songs," and the late Beethoven quartets are always near the top. Interesting Fact about yourself: I like pie, fresh haircuts, naps, and new socks. Heather is deeply involved with Opus One and performs for the MSO's Family Tunes and Tales program. Most influential musical teachers: James Berg, my middle school orchestra teacher, who made me feel capable; Mary West, one of my private teachers in high school, who knew how to draw the best out of people with kindness. Teaching Positions: I teach group class for the Memphis Suzuki Music Makers and teach a few private students. Describe your family and pets: Wife (in a few states - partner in TN - whatever) Betsy Carter, MCS Orff Specialist, MSO substitute trumpet player, former MSO music librarian; son, Alex Carter, 8, plays violin, participates in Cub Scouts; daughter, Jordan Carter, 5, plays violin, loves ballet and gymnastics; cat, Lee, the Southern general, 2 (gray); cat, Sherman, the Northern general, 2 (black and white - they don't come in blue); several fish. If you could travel anywhere, where would you go: The pyramids in Egypt, but probably on a cruise so as to have a nice bed, a hot shower, and a pool. Favorite hobby: Running, when I'm on the wagon. When I'm not, gardening. What inspired you to make music your career: Playing in chamber ensembles and youth symphony. Interesting Fact about yourself: As a Suzuki Mom, I've practiced for over 1,300 consecutive days with my son - his goal was to reach 1,000 and he hasn't stopped. He also wants to play his violin in every state, so our family is trying to travel to a new region of the country each summer. 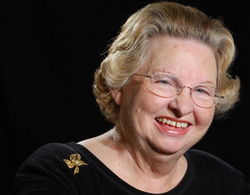 Born in Miami, Florida, Mrs. Spurbeck is the longest-standing member of the Memphis Symphony. 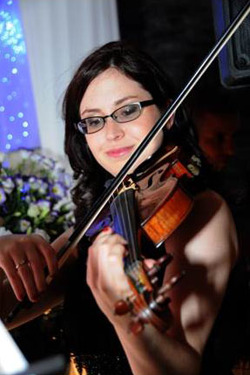 She holds a Master's degree in Music Education from Indiana University and a Bachelor's degree in Violin performance from University of Miami (FL). 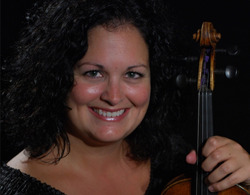 Besides her work with the Memphis Symphony, Mrs. Spurbeck is a violin instructor at the University of Memphis Community Music School's Suzuki Strings Department. 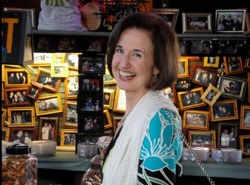 She studied the Suzuki Training method with David Becker at the University of Memphis and has done summer workshops with Rhonda Cole, Craig Timmerman, John Kendall, Marge Aber, Alice Joy Lewis, Kimberly Meier-Sims, Yuko Honda, Lorraine Fink and Susan Kempter. Teaching Positions: Founder and primary teacher of the East Memphis Music Academy. Have also taught in the Columbus, Mississppi Suzuki program, and the Boulder Suzuki Program. Describe your family and pets: I have a 2 ½ year old son who is the joy of my life! I also have 2 dogs and 1 cat. Age you started your instrument: I started violin when I was 4 and didn't switch to the viola until the age of 24. Interesting Fact about yourself: I grew up in the south. Most influential musical teachers: There are three teachers who stand out above all the rest: John Wehlan (viola), Vincent de Frank (conductor), and Linda Jackson (piano). No, I didn’t take conducting lessons, but it was under Mr. de Frank (first in the Memphis Youth Symphony and later in the MSO) that I really learned how to be a good orchestral musician. In addition to piano, Mrs. Jackson saw that I was well grounded in basic music theory—and she also accompanied every audition I ever played as a violist! I had nine years of study with Mr. Wehlan (who, by the way, was Principal Violist of the MSO and Associate Professor of Music at Southwestern at Memphis) during my high school and undergraduate years. He was a phenomenal musician, a generous and giving instructor, and he wound up being a close and treasured friend once I returned home as a bona fide professional musician. First Season with the MSO: 1977-1978. I took six years off (1981-1987) for graduate school and my first job, came back to Memphis at the end of September of 1987 to rejoin the MSO, and have been here ever since. The 2012-2013 season will be my 30th with the MSO. Other orchestra positions held: Savannah Symphony Orchestra, Missouri Chamber Orchestra (Principal Viola); Tennessee Summer Symphony (Principal Viola). 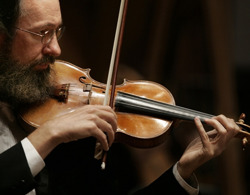 For two years (1993-1995) I also served as Acting Principal Violist of the MSO. Played as an Extra off and on with the Charleston Symphony Orchestra and the Jacksonville Symphony Orchestra while in Savannah. Teaching Positions: Adjunct Instructor (Music Appreciation, Basic Music Theory, College Survival Skills): Southwest Tennessee Community College; University of Memphis. I also taught viola at the University of Memphis during the summer of 1992 when the college was between full-time teachers. Have coached chamber music through both the Community Music School and Memphis Music Camp off and on since the mid-2000s. As a Chamber Musician: Violist and founding member, Bluff City String Quartet (Memphis, TN); Violist, Empire String Quartet (Savannah, GA). Notable achievements: Performing as viola soloist with the Combined Choirs of Calvary Episcopal Church on Tennessee Day at the Washington National Cathedral in 2005—that’s the big one (and I gave up an entire MasterWorks week here in order to do it!!). I also received the Dr. Marian B. Ham Award for Outstanding Adjunct Faculty at State Technical Institute at Memphis in 2000, just before the college combined with Shelby State to form STCC. MSO Community Involvement: Soulsville mentoring, CAPA Virtuosi mentoring, string quartet performances at facilities specializing in care for the elderly, music history presentations in connection with our concert programming. Favorite Memphis restaurant: Café Society (Paul and I refer to it as “Our Place”), and I have to include Bari as a close runner-up since we had our Rehearsal Dinner there—it’s far and away the best Italian restaurant in Memphis. Describe your family and pets: I’ve been married for a little over a year to The Most Wonderful Man In The World. Paul (Pellay) is a composer and a freelance music editor in Canterbury, England—and his first commercial CD has just been released (shameless plug—I’m very proud of my husband). By the way, Paul received his DMA in Composition at the University of Memphis (1993)!! My younger sister Monica teaches Health & Physical Education at a middle school in Nashville, and she’s habitually the life of the party! I grew up with an adorable French Poodle named Chi-Chi, whom I have missed for a very long time now. I owe a great debt of thanks to my paternal grandparents (George and Florence Walker) for giving me all the opportunities and encouragement necessary to become a professional musician. If you could travel anywhere, where would you go: First on the list: An Alaska Inside Passage cruise! Next: Rapa Nui (Easter Island) and the South Pacific Islands in general. Third: St. Petersburg and the Hermitage Museum there! Favorite hobby: My interests cover a wide range, and include (but are not limited to): architecture, ballroom dancing, geology, gourmet cooking, journaling, marine biology (which I seriously considered majoring in), needlework, photography, politics, puzzle and word games, reading, sports (I wanted to be a baseball player before I got serious about music), and traveling. Age you started your instrument: About twelve-and-a-half; I was in the middle of my 7th grade year. My musical background is a lot earlier than that: I started playing piano at age three or four, and started guitar lessons when I was eight. What inspired you to make music your career: The sound of the symphony orchestra—I wanted to be a part of that! Favorite book, movie, or TV show: Book(s): David Weber’s “Honor Harrington” science-fiction series; Movie: The Sound of Music; TV show(s): A tossup between “The West Wing” and “Boston Legal.” And yes, and I’ll watch almost ANYTHING that has Gordon Ramsay in it—a true guilty pleasure! Most embarrassing moment on stage: My first concert with the MSO—my very first one!—a string broke right before the beginning of the overture. I had to leave the stage and change it before the second number. Not a particularly auspicious beginning to my professional career! Favorite composer or piece of music: That’s a really tough call, but at the end of the day, Brahms and Bach lead the way. One sentimental favourite of mine is the second movement of the Brahms 1st Piano Concerto. Another is the first movement of Bach’s Cantata 29. The latter has inspired many composers over the years, and it’s easy to hear why! Interesting Fact about yourself: In many ways, I’m a woman of two worlds: Memphis, Tennessee, and Canterbury, England. Paul shares my love of travel (though both of us HATE flying these days! ), so a “Transatlantic” marriage suits us quite well. Interesting Fact about yourself: traveled to USSR (at age 15) to study Russian language & lit. One cooling fall day in 1959, Mrs. Reeves sent me home with a violin. It was the beginning of the Alachua County string program in Gainesville, Florida. I can't say I fell in love on that day, but my father, bless him, took the ball and ran with it. Private lessons came shortly after, as well as piano lessons, and by 7th grade, the alarm clock was set for 5 a.m. so that practice could be completed before school. I transitioned to viola in college, and there the love began. I had found an instrument that was in my vocal range! Though my dad wanted me to take the sensible route (" Get a degree in education! "), I wanted only to play, so my first degree in Music Performance at University of Miami led me to a graduate assistantship at Memphis State, where I majored in performance, and minored in Suzuki Pedagogy (maybe Dad might be right!). After being in Memphis a couple years, I was invited to audition for the MSO. Auditions were not nearly the rigorous affair they are today! I just stood on the stage in Harris Auditorium, behind a jerry-rigged screen, and played the requested excerpts, then waited a few minutes for the committee to confer. In a minute or two, Maestro DeFrank said, "welcome to the orchestra." I am not exaggerating when I say every subsequent decision I have made has been affected by my membership in this orchestra. To play is to live, and "making a living" must be worked around that core belief. 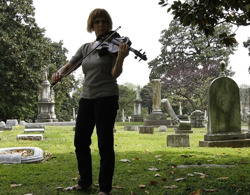 So I end again with my favorite viola joke - "What do you do with a dead viola player? Move her to the back of the section!" Thanks, Dad. What inspired you to make music your career: My parents always encouraged me to find a career that would be fulfilling and I have always loved making music. Most embarrassing moment on stage: I fell on my face walking up the stairs to the stage at a piano recital in high school. Iren Zombor is a native of Miskolc, Hungary. 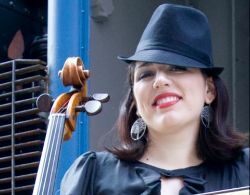 After attending music college in her hometown, she lived in Bratislava, Slovakia for two years, where she studied with the famous Slovak cellist, Joseph Podhoransky. 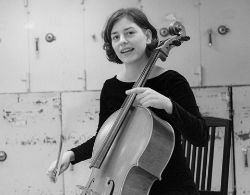 She received her Masters of Music degree in cello performance from the University of Massachusetts at Amherst. 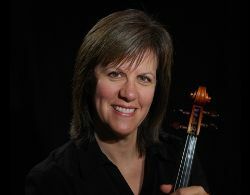 She has been the member of the Memphis symphony Orchestra since the fall of 1996, where she currently holds the Assistant Principal Cello position. 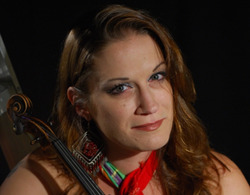 Ms. Zombor has performed around the world with various orchestras as far as Eastern and Western Europe and Japan. In addition to her busy performance schedule, her passion has long been private teaching. She has taught students of all ages at all levels. She has been on the Rhodes College faculty since 2004. The MSO has been partnering with the Greater Memphis Chamber on a collaborative effort – the Memphis Soundtrack Project. MSO musicians have created original music to accompany three short films featuring local businesses. Two of these films were revealed at the recent Greater Memphis Chamber’s annual Chairman’s Luncheon on December 17th. The short film below, Soundtrack Project: A Tangible Birthplace from Memphis Chamber on Vimeo, features work by Jonathan Kirkscey. Describe your family and pets: Wife, Susie. 3 boys: Jacob (13), Zachary (9) and Daniel (9) yes, twins. 2 dogs, Jozie and Max. Favorite hobby: Who has time for a hobby? Favorite Memphis restaurant: Huey's-love the cheese fries! Describe your family and pets: I've been married to my husband and best friend, John, for 34 years! I have three boys Chris, Andrew and Peter, all four years a part in school. Chris will be completing his Phd around the time Andrew graduates college and Peter high school. We have an aspiring chemical engineer, a biomedical engineer/physicist and a political scientist with a passion for history in the family! I also have two great dogs, Lucky and Brisco, that shed profusely! If you could travel anywhere, where would you go: Greek Island of Skopelos where they filmed Mamma Mia! Age you started your instrument: 12-they needed a bass player! I had large hands and could read music! Most embarrassing moment on stage: A Halloween Pops Concert. The bass section dressed up as martians. I was allergic to the green paint and really uncomfortable by the end of the show! Interesting Fact about yourself: I was born in Lahore, West Pakistan and I am an independent business owner, a Senior Sales Director in Mary Kay. 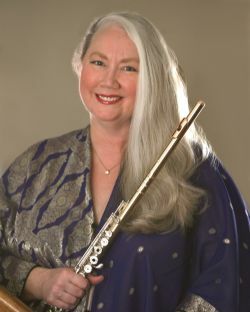 Karen Busler, a native Memphian, holds The Marion Dugdale McClure Principal Flute Chair of the Memphis Symphony Orchestra. She has been a frequent soloist during her nearly four decade tenure with the MSO as well as performing the major orchestral repertoire for flute. As part of the Symphony, she also plays Principal Flute for Opera Memphis. 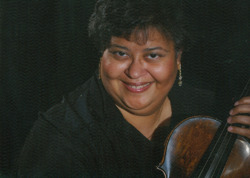 Mrs. Busler is a charter member of the IRIS Orchestra and was a featured soloist in the 2004-2005 season. 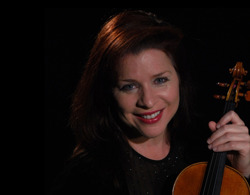 She is also a frequent soloist with the Memphis Chamber Music Society. 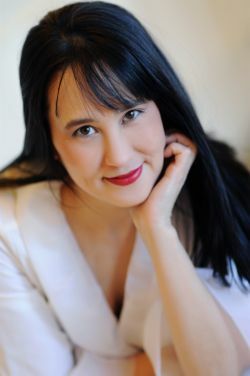 She was the teaching, coaching, and performing Flute Mentor for the Hot Springs Music Festival in Hot Springs, Arkansas from 2001 to 2009 and was the featured soloist with the Festival Orchestra in 2005 performing the Nielsen Flute Concerto. Her most highly regarded milestones have been her Benefit Concerts for the International Children’s Heart Foundation (ICHF), as producer, director, coordinator, and featured performer. Those efforts raised many thousands of dollars for the humanitarian work of the ICHF. 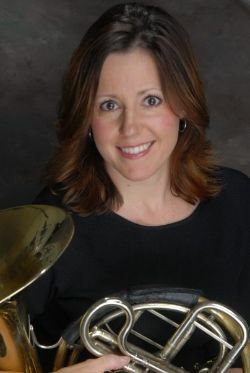 In addition to her playing responsibilities, Mrs. Busler founded a new concert series, The Assisi Concerts of which she is Executive and Artistic Director, at St. Francis of Assisi Catholic Church. 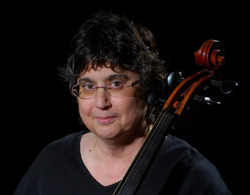 She toured Alaska in 1999 and 2002 with the Rosetta Trio, of which she is a founding member. She has judged competitions and performed as a member of the National Flute Association. She is also Life Member of the Renaissance Music Circle. Recordings include Symphonic Elvis with the MSO, IRIS, A New Orchestra, vol. 1, and Kallen Esperian’s three CD’s; American Treasure, An Enchanted Reverie, and Lover Come Back. Mrs. Busler enjoys coaching advanced students for orchestral, festival, or college auditions. She is also an active real estate investor, bringing her disciplined focus to another of many interests in her life. Mrs. Busler studied with Paul Eaheart at the University of Memphis where she earned her Bachelor of Music degree in Performance with honors. 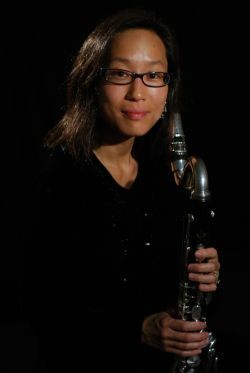 While at the U of M she won the Concerto Competition and the coveted Performer’s Certificate. She also studied with the late Murray Panitz, Principal Flutist of the Philadelphia Orchestra, and has played in many Master Classes for Jean-Pierre Rampal and Paula Robison. Colleges attended: Interlochen Arts Academy (Michigan), McGill University (Montreal), University of Toronto, Royal Conservatory of Music, 1 year of post-postgraduate study study with Richard Killmer (Eastman School of Music) through a grant from the Canada Council for the Arts. 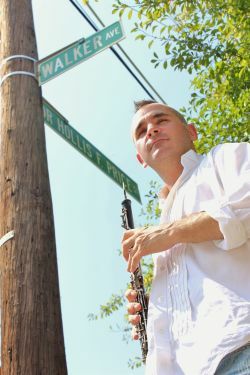 Appeared as a soloist with: Memphis Symphony, Strauss Concerto, world premiere Erik Ross Oboe Concerto. World premiere, Elizabeth Raum The Phantom Drum, Manitoba Chamber Orchestra. Monroe Symphony (LA), Kitchener-Waterloo Chamber Orchestra, Fayetteville Symphony, Canadian Chamber Academy Orchestra, Windsor Symphony, Sinfonia of Nations (Toronto). CBC radio national broadcast recitals in Toronto and Ottawa. Invited to perform at Conventions of the International Society of Double Reeds in Banff Alberta, Greensboro NC, Austin TX, Muncie IN. MSO Community Involvement: Original Leading from Every Chair developer; Opus One season planning and execution. Currently involved with Symphony Soul Project. Favorite hobby: I read and explore Memphis on foot. I used to have a collection of t-shirts I'd buy from goodwill from team building exercises I'd never participated in. 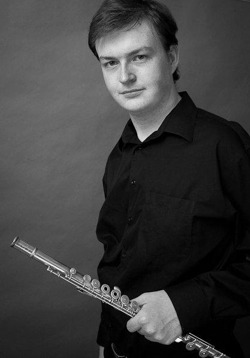 Age you started your instrument: Started the oboe at age 15 in Sudbury, Ontario. I picked the oboe because the band was going on a trip to florida and they needed an oboe. Favorite book, movie, or TV show: Harper Lee's To Kill a Mockingbird. That is also my favourite movie. 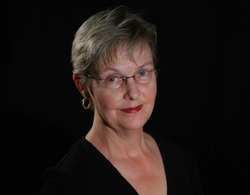 Sandy created and narrates the WKNO Radio Hour. She is also involved with Family Tunes and Tales. Notable achievements: TN Arts Commission Fellowship Award, 1995-96 This award enabled me to fund a tour to premiere commissioned works by Robert Patterson, Paul Pellay and John Elmquist. Coauthored Great Oboes of the Twentieth Century articles for the International Double Reed Society journals. I am currently researching and writing articles about the history of the Memphis Symphony Orchestra for our 60th anniversary. What inspired you to make music your career: My love for it..couldn't imagine doing anything else! Most embarrassing moment on stage: Can't think of one, but do remember when it rained on stage during a Masterworks Concert with Alan Balter before Vincent De Frank Hall was remodeled. Interesting Fact about yourself: Owner of Sublett Woodwind Repair. I repair oboes and have the Fox dealership. Being a Mary Kay Consultant. This is my fun business. As a member of Sara Chiego's unit, I really enjoy interacting with a diverse group of women. We enjoy attending local meetings, special events, and seminar in Dallas where we receive wonderful training. Last year, I had the honor of performing for our National Sales Director, Pat Campbell, at her retirement dinner. Dr. Charles A. Schulz is Professor Emeritus of The Rudi E. Scheidt School of Music at The University of Memphis where he served as head of the brass division and twice served as President of the university wide Faculty Senate. 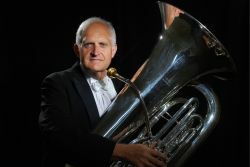 Dr. Schulz joined the Memphis Symphony Orchestra as principal tubist in the fall of 1971 and has performed with all the symphony’s music directors. 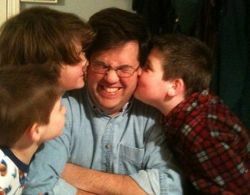 He also performs in the Memphis Symphony Brass Quintet and served for several years as the orchestra personnel manager. 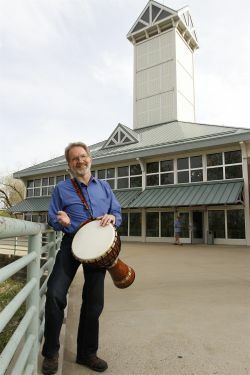 Dr. Schulz is also Minister of Music at the First Unitarian Church of Memphis, also known as The Church of the River. His choir travels annually to perform with other choirs and has even traveled to Romania to sing and tour with the choir of their sister church. He spends a week every summer as tuba soloist with the Great Western Rocky Mountain Brass Band. Dr. Schulz’s interests outside of music are a bit eclectic. He is a professional parliamentarian and has the highest credentials available in parliamentary law and procedure. He is a nationally respected teacher and regularly consults and writes professional opinions for a variety of clients and serves as a convention parliamentarian. For fun he tunes and rebuilds pianos and is a self described racquetball junkie. Currently he serves on the Board of Directors of four organizations and is President of his home owners association. His current intellectual pursuits include cognitive dissonance theory, American history and the history of Christian orthodoxy. Additionally, Dr. Schulz is involved with the MSO's Family Tunes and Tales program. 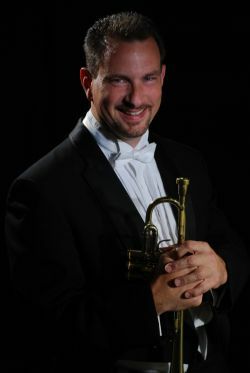 Scott Moore is the Principal Trumpeter of the Memphis Symphony Orchestra. He has also performed with the Chicago Symphony, the St. Louis Symphony, the Baltimore Symphony, the National Symphony, and the Toronto Symphony. He has recorded and performed with the Nashville Chamber Orchestra, and with I Fiamminghi, the Orchestra of Flanders. 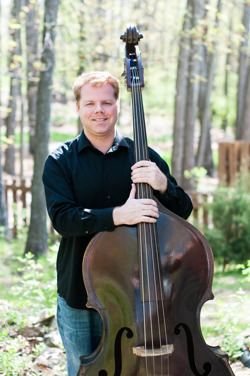 Mr. Moore has served as a Mentor with the Hot Springs Music Festival, and on the faculties of the Sewanee Summer Music Center and the Tennessee Governor's School for the Arts. 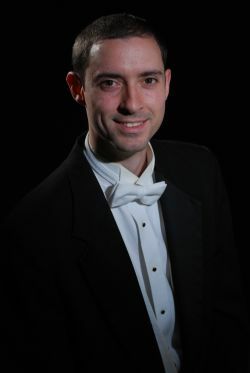 As a soloist, Mr. Moore has appeared with the San Antonio Symphony, the Nashville Chamber Orchestra, the Tennessee Summer Symphony, the Chattanooga Symphony, and on numerous occasions with the Memphis Symphony. In February of 2009, Mr. Moore performed the world premiere of Eric Ewazen's Trumpet Concerto, which is a new orchestration of the composer's popular Trumpet Sonata. Mr. Moore was a featured Guest Artist at the 1994 International Trumpet Guild Conference. A review of that recital in the International Trumpet Guild Journal praised his "superbly fluid and beautiful trumpet playing". The Nashville Chamber Orchestra's 2002 Naxos recording of Aaron Copland's music featured Mr. Moore in Quiet City for solo trumpet, English horn, and strings. Classicstoday.com lauded his "smooth-as-silk trumpeting" on that recording. Additionally, Mr. Moore is Band Leader of the MSO Big Band. Interesting Fact about yourself: I’m a Canadian citizen. 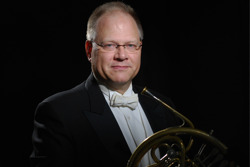 Greg Luscombe has served as the principal trombonist with the Memphis Symphony since 1989. He also served as the Orchestra Personnel Manager for two seasons. 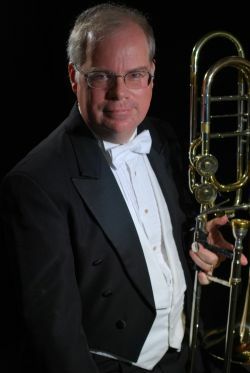 Since August of 2008, Mr. Luscombe is also Professor of Low Brass at the University of Mississippi. 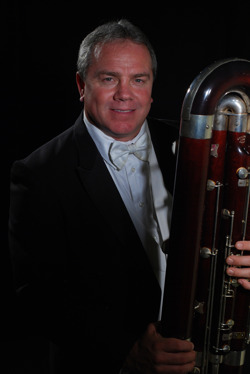 Mr. Luscombe has been a featured soloist on various subscription concerts with the Memphis Symphony. He recently performed in recital at Henderson State University, University of Northern Alabama and at the University of Tennessee (Martin). Last season he performed the David Concertino with the Dyersburg (TN) Community Orchestra. This season, he will be performing the Grondahl Concerto with the Germantown Symphony Orchestra in April. 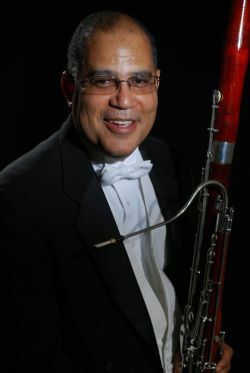 Mr. Luscombe has also performed and recorded with the Chicago Symphony, the Cleveland Orchestra, the St. Louis Symphony and the Mexico City Philharmonic. He has also done a variety of commercial work including theatre engagements and recordings. He also performs professionally on euphonium and bass trumpet. 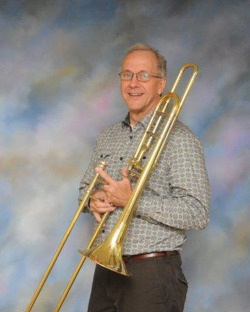 Mr. Luscombe was recently invited to perform as a guest artist on a recital series at the Eastern Trombone Workshop (ETW-2011) held annually in Fort Meyer, Maryland - one of the largest events for trombone in the world. In addition to his current position as a faculty member of The University of Mississippi Mr. Luscombe has taught at Union University (Jackson, TN), Southwest Tennessee Community College (Memphis, TN), the University of Memphis and Murray State University. 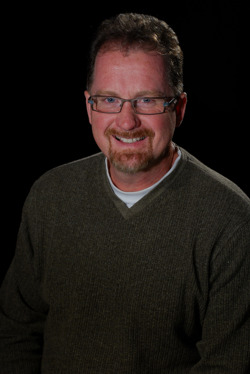 Greg also serves as a faculty member for the Masterworks Festival which takes place every summer at Grace College in Winona Lake, Indiana. Greg has also maintained an active private studio for over 25 years. Many of his former students have gone on to successful teaching and performance careers. Mr. Luscombe's principal private teachers include Jay Friedman (principal trombone, Chicago Symphony), Mr. Per Brevig (Julliard School, former principal trombone of the "Met"), Mr Edward Zadrosny (University of Akron), Mr. Dee Stewart (Indiana University-former member of the Philadelphia Orchestra). Other private study includes work with Arnold Jacobs and Mr. Art Sares (former staff trombonist at the old NBC staff orchestra in Chicago) and Vern Kagarice at North Texas State University. 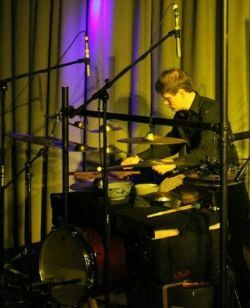 Greg holds a Master of Music (Performance) Degree from the University of Akron, an undergraduate degree from Elmhurst College (Elmhurst, Illinois) and has done post graduate work in music at Indiana University, North Texas State University and the University of Memphis. 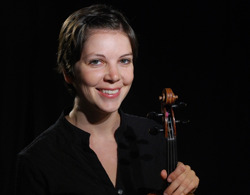 Mr. Luscombe is married to Beth Luscombe, a member of the Memphis Symphony Orchestra viola section. They have two children, Sarah (21) and Julia (17). As a Composer: I have two published transcriptions for trombone quartet. Appeared as a soloist with: Briarcrest HS., Arlington HS., Collierville HS., Overton HS. Favorite Memphis restaurant: My Favorite Place… it’s a Mexican restaurant. 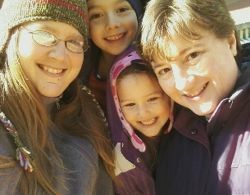 If you could travel anywhere, where would you go: As a family, we try to go to Walt Disney World annually. Favorite hobby: Listening to WDW podcasts while running. Age you started your instrument: I had my first band concert at the age of 10. That was in 1970… Where did the time go? Favorite book, movie, or TV show: Hmm… difficult to name just one… I like Science Fiction mostly. Most embarrassing moment on stage: I was the stage manager for the Midland/Odessa Symphony and during the performance; I had to lift the piano lid of a piano that was on the edge of the stage. I didn’t have any leverage with which to properly do this. So with all my might, I slowly lifted the piano lid… It must have looked rather intense from the audiences’ perspective, because it took like 20 seconds. Favorite piece of music: Richard Wagner’s tetralogy “Der Ring des Niebelungen” hmm… about 15 hours long. Describe your family: Wife Marian, harpist MSO, daughter Julia, teacher at Covington Integrated Arts Academy, daughter Mimi, OBGYN resident UC San Diego Hospital, son in law Sebastien Habert (married to Mimi), helicopter pilot. Most embarrassing moment on stage: During a long rest in a performance, I almost fell asleep, catching myself before I did. Unfortunately, I hit the gong I was due to play later in the performance in a very soft spot in the music! Interesting Fact about yourself: I was a championship swimmer in middle school. Teaching Positions: I have been an adjunct instructor at the University of Mississippi as a Collaborative Pianist for the instrumental department since 2001. I was also the Collaborative Pianist for the fall and winter sessions at the Banff Centre for the Arts in Alberta, Canada from 1994 to 2000 as well as for several summer instrumental master classes. As a Chamber Musician: I have performed in chamber recitals with violinist Joshua Bell, bassist Edgar Meyer, cellists Tsuyoshi Tsutsumi, Shauna Rolston and Michael Veit, flutists Timothy Hutchins and Paul Edmond-Davies, composer Steve Reich and the percussion group NEXUS. In Vancouver, I worked with Kokoro Dance Company for several productions and have also worked with John Korsrud's Hard Rubber Orchestra. I currently perform in the piano and percussion duo DivaDi with MSO Principal Percussionist David Carlisle. Appeared as a soloist with: I was honored to be invited to perform Poulenc's Concerto in d minor for two pianos with Victor Santiago Asuncion and the Memphis Symphony Orchestra in the fall of 2011 as part of the Masterworks Series. I have been invited to perform a piano concerto with the Germantown Symphony Orchestra in the spring of 2013.
Notable achievements: One of the highlights of my life was performing percussion for David Carlisle's piece entitled Mad Cow at the Percussive Arts Society International Convention (PASIC) in Indianapolis in 2009. It was thrilling to perform for approximately 1,000 percussionists who had travelled to PASIC from all over the world. Another highlight was performing at the Winnipeg New Music Festival in Winnipeg, Manitoba with my trio at the time for piano, percussion and accordion called SqueezPlay. We were invited to perform an evening concert with guest cellist Shauna Rolston. We had a large crowd in the auditorium as well as some audience members behind us on stage. The production crew put together an incredible light show and also arranged our using dry ice during our quartet piece called Smokin' f Holes. For the entire festival, I was amazed at how enthusiastic the audience members were as they cheered on performances of new chamber and orchestral works as if they had been attending rock concerts. In the United States as well as Canada and Europe, I have collaborated and toured with many colleagues. I also love working in the recording studio and have had the good fortune to work with the incredible producer Mark S. Willsher on an original SqueezPlay album entitled Rubber Horn. 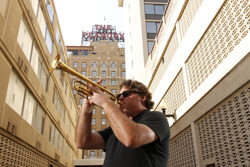 MSO Community Involvement: I enjoy performing with the MSO Big Band at the Peabody Hotel. Describe your family and pets: We have two delightful little boys named Connor and Dylan who are an absolute joy to be around. Our family also includes a loving chihuahua/terrier mix named Comet and a beautiful cat named Bunny Carlita who I adopted from the Oxford Humane Society Animal Shelter. If you could travel anywhere, where would you go: Italy, Iceland, New Zealand. Also, South Korea and Czechoslovakia to visit distant relatives. Favorite hobby: I love to arrange plants for our porch and am brushing up on my French. What inspired you to make music your career: I seemed to be passionate about music from the very beginning. I was inspired to start taking lessons when I heard my mother playing on an old upright that my grandfather had shipped to Maryland all the way from Mississippi. I was mesmerized by my mother's playing and the beautiful sounds coming out of the instrument. From the age of 12, I knew I always wanted to pursue music as a career. Favorite book, movie, or TV show: Some favorite movies are Brazil, The Legend of 1900, Seven Samurai, Night on Earth, Lion in Winter, Raising Arizona, Diva, Sophie's Choice, Untouchables, Serenity, The Verdict, The Spy Who Came in from the Cold among many others. Favorite piece of music: Rustles of Spring by Sinding, a piano solo my mother used to play on our upright. More About Me: Other: I remember rehearsing with the MSO when I was expecting our first son Connor. While I was seated at the piano, he was very active and would move and dance around to the music---especially during the loud bits. I'm happiest when I'm with my family spending time together, cooking, singing and dancing with my boys and reading with them. Most influential musical teachers: Arnie Abrahams, John Beck, Bob Becker, Russell Burge, James Culley, Sean Eisenberg, Robin Engelman, Russell Hartenberger, John Hollenbeck, David Kent, Robert Mee, Allen Otte, Pandit Sharda Sahai, John Von Ohlen. Teaching Positions: Instructor of Music at the University of Mississippi, Instructor of Percussion at the University of California Davis, Instructor of Percussion at Rhodes College. As a Chamber Musician: American Festival of New Music, Berkeley Contemporary Chamber Players, Chamber Music Society of Sacramento, Earplay, El Cimarrón (contemporary opera by Hanz Werner Henze) at the Banff Centre for the Arts, Empyrean Ensemble, Joe Ink Dance, Kokoro Dance, Luna Nova Ensemble, Nexus, PASIC (Percussive Arts Society International Convention) with my group DivaDi, Percussion Group Cincinnati, Queen of Puddings Music Theatre, Steve Reich, San Francisco Contemporary Music Players, Winnipeg New Music Festival with my group SqueezPlay. As a Composer: I wrote “Mad Cow,” a percussion duet I performed with Adrienne Park at the Opus 1 concert with Lucero in 2012. Adrienne and I have a piano-percussion duo called DivaDi—we perform original compositions and new works created on a collaborative basis with current composers. Describe your family and pets: I’m married to Adrienne Park, MSO’s Principal Pianist. We have two beautiful boys, Connor (6) and Dylan (3), who love playing with our cat, Bunny, and Chihuahua-mix dog, Comet, a.k.a. Pups. What inspired you to make music your career: I saw a drumset in the corner of the room when I walked into my first music class in 7th grade. We had to draw names from a hat to play drums—luckily, mine was the first one drawn. Favorite book, movie, or TV show: "The Lion in Winter"
Favorite drummer: I can list hundreds of truly great drummers, but it’s always so much fun listening to Stewart Copeland from the Police for his originality and explosive energy. Interesting Fact about yourself: I was a figure skater growing up in Toronto and competed with Elvis Stojko. Most influential musical teachers: April Myers, my first horn teacher from age 9 – 18; Eli Epstein at CIM, now at New England Conservatory; David Effron, conductor, educator, Eastman. Notable achievements: Being married to my best friend, who is also a horn player and having a beautiful son with him. Favorite Memphis restaurant: Bombay House & Casa Blanca in Cordova – we live way too close! If you could travel anywhere, where would you go: I would go see all Wonders of the World – apparently the list gets longer all the time! Favorite hobby: besides my family, keeping up with the latest healthy eating habits and nutrition. What inspired you to make music your career: My mother and father – and the soundtrack of ET! Favorite piece of music: Such a loaded question – it changes all the time. Robert Patterson grew up in Memphis. He first studied horn with Richard Dolph in Memphis and later with Robert Fries at Oberlin College. During the 1980s he lived in Memphis but played in the MSO only as a sub. He became a regular member in 1994. 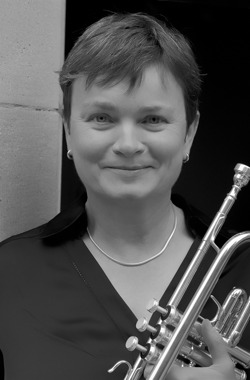 In addition to playing the horn, Patterson is also a composer. 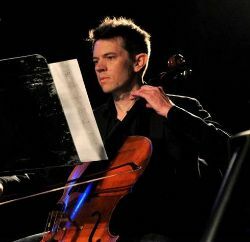 He has written works in a wide variety of genres, including works for orchestra that the Memphis Symphony has performed. As a Chamber Musician: Sewanee Summer Music Festival, Vanderbilt University, University of Memphis, and Memphis Chamber Music Society. Describe your family: Our two daughters grew up playing piano and harp. We had a harp trio and performed throughout the Mid South with percussion additions by Frank! Now Julia teaches at the Covington Integrated Arts Academy and plays second harp in the Memphis Symphony with me. Mimi is an OB/GYN resident at UC San Diego and is married to Sebastien Habert, a helicopter pilot from France. If you could travel anywhere, where would you go: I would love to go on one of the National Geographic cruises to Antarctica or just about anywhere on a Windjammer cruise. What inspired you to make music your career: I always knew. As a child in Hernando, Mississippi my parents brought me to musical events in Memphis. I especially loved the symphony and the touring operas that the Metropolitan Opera presented every year. Interesting Fact about yourself: In addition to music, I majored in English and German in college. More About Me: I grew up with cows, sheep, and chickens. My job from age 10 through high school was to “work” the hundreds of eggs every day -- weighing them, candling and grading them, and putting them in cartons. I was even on the championship poultry judging team for the state of Mississippi in 1968! 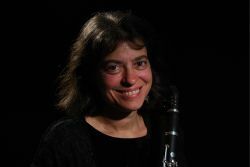 Rena Feller has been E-flat/Second Clarinetist with the Memphis Symphony Orchestra since 1986. She earned a Bachelor of Music degree at Oberlin College and a Master of Music degree at Juilliard, where she studied with David Weber. 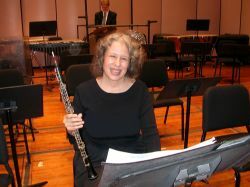 From 1991 to 1999 she was principal clarinet with the Berkshire Opera. As a solo recitalist and chamber musician, Ms. Feller has premiered and recorded many contemporary compositions. 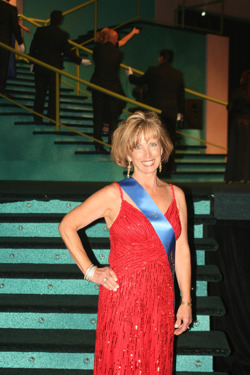 She maintains an active private teaching studio in Memphis. 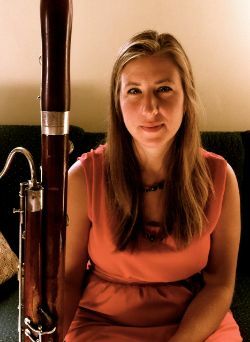 First season with MSO:Susanna Whitney was appointed Principal Bassoon of the Memphis Symphony Orchestra in the fall of 2012. Colleges attended: She attended the Cleveland Institute of Music and the Northwestern Beinen School of Music, where she studied with John Clouser and Christopher Millard. Notable achievements: She has played with the Blossom Festival Band and Orchestra and the Youngstown Symphony. She participated in the Kent/Blossom and Pacific Music Festivals. Interesting Fact about yourself: In her free time, she enjoys running, cooking, and spending time with friends and family. 2)	Student musicians were paired in ensembles with professional musicians and performed at senior citizen homes. 3)	Junior high students studied math, reading, writing and music theory using the MAC computer. Favorite Memphis restaurant: Any place that’s clean and that serves good and healthy food. Describe your family and pets: I have several aquariums, both saltwater and freshwater. What inspired you to make music your career: It just kind of happened, and it turned out to be fun.